You can usually tell an animal's health by the condition of its coat and skin. 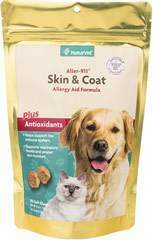 Puritan's Pride Coat and Skin for Dogs and Cats is a potent formula that can correct dry skin conditions, and promote a glowing coat and healthy skin. Coat and Skin provides vitamins A, D and E plus pure natural unsaturated oils essential to your pet. 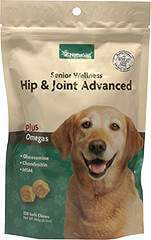 Give your dog the benefits of this carefully formulated health aid.